A passive component is a module that does not require energy to operate, except for the available alternating current (AC) circuit that it is connected to. A passive module is not capable of power gain and is not a source of energy. A typical passive component would be: resistors, inductors, capacitors and transformers which together are required to build any electrical or electronic circuit. Passive devices can be used individually or connected together within a circuit, either in a series or in a parallel combination to control complex circuits or signals. A ferrite core is a ceramic compound that includes a mix of iron and another type of metal. Ferrite is common in many types of electrical components, including antennas. 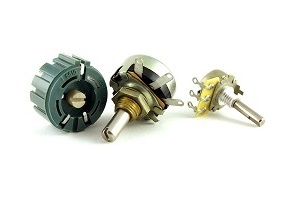 This magnetic core features wound components, such as windings from a transformer and inductors. It is useful because it offers low electrical conductivity along with high magnetic permeability. Surge protectors are a part of nearly every home and office today. They provide your expensive electronic devices with added protection against surges of electricity, which would ultimately destroy them.